It has a lot of good points. Unemployment is down, so if the robots want to take our jobs they’re being uncharacteristically inefficient about it; it also points out that automation has always forced jobs to evolve and the current wave of automation is no exception. There is a perception of employment vanishing because of deserted high streets and closed shops in malls, but the service industry, languages and soforth have never been more fruitful. Well…yes. All of this is correct, but it doesn’t make life any easier if you’re in the middle of it. Let’s say you were working in a big chain of shops. Your people skills are excellent, you’re a little more senior than some so you can do stuff like mental arithmetic. You don’t have to rely on the till to add things up – customers can see you know what you’re doing. And you made best salesperson of the month just about every month last year. The store, meanwhile, is on the hit list of stores to close. You’re offered an alternative position in Arkensas; unfortunately you’re in California and that’s quite a commute. It’s OK though, because the company is growing so there will be back office positions and web marketing opportunities and the overall head count will be larger than it was before. You have none of those skills and your store is closing. Intelligent Sourcing is not saying these changes shouldn’t happen. We’re not saying they should be resisted, they are inevitable. The point we’d make, though, is that it’s glib for media, analysts and academics to point to growth in overall jobs and to take no account of the people on the ground who find their job is growing in a direction that no longer works for them. This is, in part, how you get to the resentment felt by a lot of working people worldwide when they get told that their economy is booming and it’s all wonderful when they don’t know how they’re going to afford to eat in the longer term. The substance of the NYT article is correct. Change is inevitable and after a period of settling down, it’s almost always pretty neutral for the total amount of jobs available. However, for the people in the jobs that are fading away, we’d urge sensitivity – and better than that, we’d call for an active effort to invest in retraining and redeployment. At the moment a lot of them feel fobbed off with statistics and figures they don’t recognise from their experience, and that’s no good for anyone. 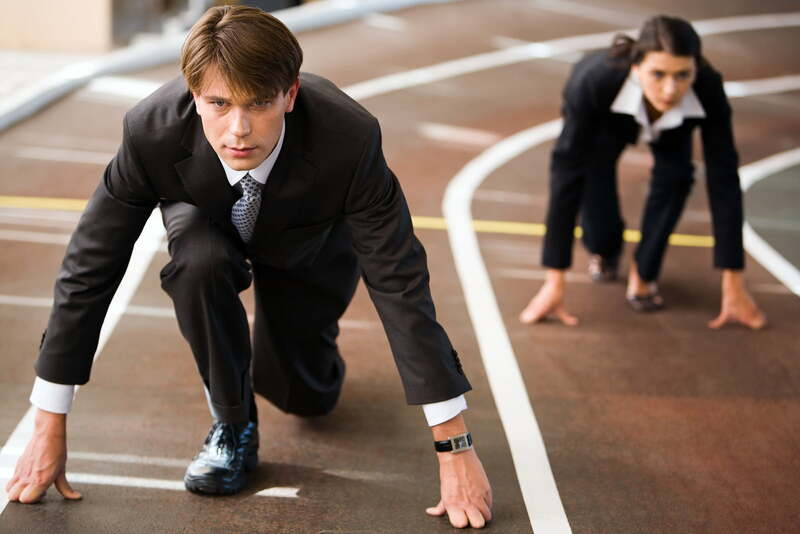 Fintech outsourcing is a hurdle race? The growth of fintech shall deal with stringent banking outsourcing regulations which might put burdensome obligations on providers in Italy. Given the potential impact of outsourcing services in the banking sector, the Bank of Italy issued very specific rules on the contents of outsourcing agreements and obligations that are both on banks and suppliers. These obligations together other general obligations might create a demanding environment for providers. And this happens at the time when Fintech is rapidly growing. The regulations apply only to the outsourcing of ‘important company functions‘ which are those that have a relevant impact on the business of a bank and include the outsourcing of for instance the back office and the information system. migration obligations in case of termination of the agreement. I have already discussed about the impact of the new EU Data Protection Regulation on technology suppliers. But, when it comes to banking outsourcing, the additional tracking and alert obligations that I had addressed in this blog postbecome also relevant. In addition to the privacy related sanctions that under the new EU Data Protection Regulation will be also against outsourcers, banking regulations introduce sanctions from EUR 30,000 up to 10% of the turnover of the outsourcer. This is a peculiarity as no direct sanctions against outsourcers were provided in the past. It will be interesting to see the impact of these regulations on Fintech deals. Source: gamingtechlaw.com -Fintech outsourcing is a hurdle race? Outsourcing strategic value streams, process or resources is a bad idea. You lose flexibility and responsiveness. As soon as you move from a collegial all-in-this-together relationship to a contractual you-serve-me relationship, you promote a blame culture. That’s the fatal flaw of the whole idea. 1) Suppliers have always been scapegoats. That’s the fatal flaw of outsourcing: it is inherently a blame relationship. When things go wrong, accountability pressure flows out any holes in the perimeter of the organisation. Providers are on the defensive. 2) Outsourcing drives us from a collegial internal relationship to a contractual external relationship for the same resources. Providers have to protect themselves. There is no way in God’s green earth that this is going to be as flexible and responsive as sourcing the resource internally. 3) It might be cheaper but only because you get a commoditised product: one size fits all, lowest bidder, lowest common denominator. The moment you want customisation, the cost is back where you started, or more. The high-value bespoke service providers all play that game: bid low to get the business then make a killing on changes. 4) The higher-value your system, the more locked-in you are to your provider: it becomes exponentially harder to switch. 5) A service provider will always act in their own interest, whatever bull they spout about partnering and common interest. If it comes to the crunch, when times get hard, you lose. Therefore it only makes sense to outsource commoditised resources such as hardware, networks, telecoms, storage, and servers. You can outsource a call centre but you shouldn’t outsource a high value service desk. You can outsource your server cloud but you shouldn’t outsource your continuous delivery pipeline automation. You can outsource basic programming but you can’t outsource design or development. You can outsource systems of record but if they hold your systems of differentiation they have you by the balls. It is the elephant in the room of most DevOps discussions that DevOps inherently assumes internal control of high value resources and activities. Does DevOps work when you have outsourced control of your key value streams? I’m investigating and learning. I welcome comments. More and more businesses are deciding to outsource their IT support instead of maintaining an in-house IT support team. There are quite a few advantages to doing this, including the six listed here. On average, an IT support manager commands a salary of £35,000 to £40,000 a year, every year. Then there’s the costs of finding a new manager if and when your current one leaves, then finding and hiring other team members, as well as keeping their training current. For small or medium-sized businesses, a salary of such a size is too much, but the costs of having a part-time IT manager, or of relying on untrained or less-experienced staff can far outweigh this once things go wrong. If you decide to outsource, you need to look at getting your IT support from Probrand.co.uk or a similar company. This means you’ll be paying a fixed monthly fee, which is easy to control and budget for. If you do rely on a small or part-time team, then using an outsourced support service can help them – and ultimately you. If you have a small team, or just one guy, then what do you do in a serious situation or when he or she’s on holiday? Having a widely-experienced crew on the end of the phone adds an extra layer of security to you; plus, the outsourced team can spot problems brewing. Outsourcing bypasses all of this – you’ll be guaranteed an experienced team who don’t need to show you their CVs and tell you about their hobbies. Every business knows how much time is lost to IT problems – very often trivial problems, too – and these glitches mean you miss phone calls, meetings, your accountant and, of course, your customers. Constant small hassles cost time and money, and that’s before the big ones hit! Once you outsource, you’ll just have to make a call and someone will be there to make it all go away (as it were). This means that only one person is held up, rather than two! IT teams need to keep their training current and up-to-date and this costs money. If you’re bearing these costs year after year, it racks up and it never ends. IT support services benefit from training partnerships with big developers, as well as better economies of scale, so you’ll feel these benefits as well. The first few phases of any startup are very time and management sensitive, so does outsourcing even deserve a seat at the table? Simply put, there are so many things to be done that outsourcing is indeed a viable option during these phases. It helps by taking the load off personnel and projects. Outsourcing some projects doesn’t only free up time, but it also leaves you with more energy and in-house resources to use and assign to core business tasks. This is how startup businesses can take advantage of outsourcing. Running a startup includes a lot of risks. The markets are oversaturated and volatile as it is, and taking on projects you don’t have any experience with puts your young and fragile establishment at more risk. By finding an experienced and reliable outsourcing partner, you will put risk management in their hands. Avoiding risks depends on having knowledge and experience in certain aspects of the market, and this is exactly what outsourcing providers have. There is also one more important advantage of outsourcing. This one will help you level the playing field and stay competitive in your market niche, especially if there are big players offering the same or similar products or services. For instance, you can outsource customer support to a trustworthy company that handles it on a professional level. Your startup can reap the benefits of all those perks big corporations have in-house by smartly outsourcing projects to experts. Today in the digital age of marketing, strategies have to be devised carefully, and they have to target specific audiences. They also have to be subtle. They are meant to educate the audience, but also to nurture a relationship with them. Very rarely will a startup have the kind of money needed for hiring a team of professional digital marketing experts. This especially applies to content marketing. Instead of hiring an expensive workforce, you can outsource production and distribution. As long as you clearly communicate the message you want to send to the audience, marketing professionals will be able to help you build better relationships and generate more leads. While starting a new project in-house may take up to a few weeks, outsourcing it means that it will start right away. This is simply because some of the tasks may require your workers to have specific skills and knowledge that they don’t have at that moment. Instead of investing in their training and waiting for it to be completed, you can outsource the project to a respectable outsourcing firm. Hiring a new employee just because you don’t have anyone on your staff that can finish a one-time task can prove to be a very bad investment. The best practice for handling peripheral projects is to outsource them. Your hires will be able to focus on core business tasks while the outsourcing partner handles less-important projects for you. These are just some of the outsourcing advantages startup businesses can gain. In the end, if you are unsure whether to outsource or not, just compare the expense of outsourcing versus a full-time hire, and write down how much money you will save. This may be just the incentive you need for making the right decision.